Summer days in Alaska are long–near midsummer, they are nearly endless. In our home states of California and Pennsylvania, fall is the season we like best. Up here, it’s summer. We were camping on our boat in the marina at Whittier one summer in early August. The fishing had been only so-so, but with massive glaciers spilling into protected bays and rafts of sea otters in the nearby waters, the nature viewing was spectacular. On our last day, at about 6:00 p.m. with the sun out and clear skies above, Jack and I decided to take the C-Dory out for an evening cruise. We motored out as the last of the boats of fishermen and sightseers were heading in. We didn’t really have a plan. We just wanted to be out on the water. Once we got a few miles beyond the harbor, we found a spot to fish and so we cut the motor. There was not another boat in sight. It was as if no one else in the world existed. Surrounded by mountain peaks dusted in the remainder of last winter’s snow, the sea was glassy-calm. Gillie barely rocked as we drifted silently with the current. The slowly setting sun, lit up the few low clouds. As the sun slipped below the horizon, the full moon glowed against a dark blue sky. We began to pick up fish here and there–mostly small lingcod. 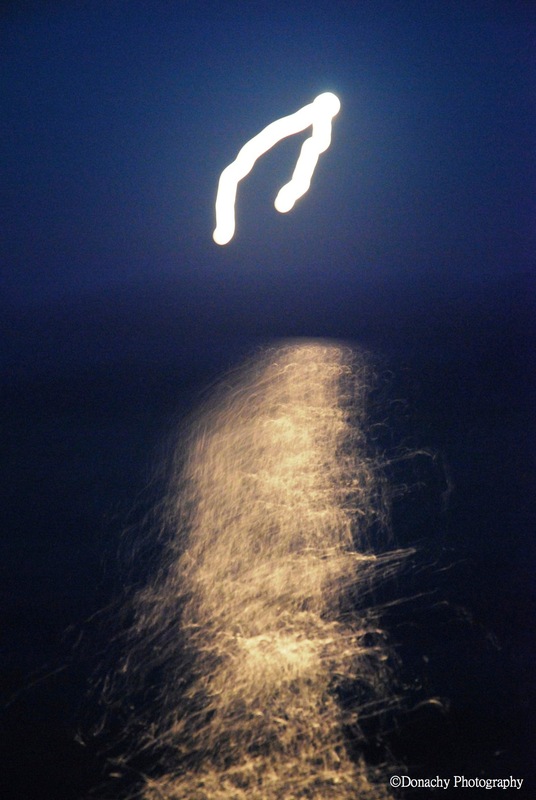 The moon climbed higher in the sky and shone brighter and brighter, it’s reflection dancing across the water as our own movements caused the boat to rock. At times we broke the quiet with talk about different possibilities for the future. But for long stretches we were quiet, lost in our own thoughts, washed in this phenomenal night. The shaker lings continued to periodically attack our jigs, and then Jack connected with something that fought differently. He worked the fish up from 160 feet down and I did net duties on a beautiful yelloweye rock fish. With a fish in the cooler that would provide for a gourmet breakfast the following morning, it was a good place to call it a night. I started up the engine and guided us home across the moonlit water. ← A Point Hope Thanksgiving or Do You Have Turkeys North of the Arctic Circle? Brownie Blondies, Blond Brownies, Brownie Double Deckers... Hey, Brownies!